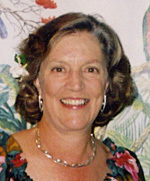 As resident of La Jolla since1964, Connie has been active in musical, political and civic affairs. From 1971-81 she was editorial assistant for the scientific journal Biopolymers, whose editorial office was based at UCSD; prior to that she taught biology at San Diego State University. 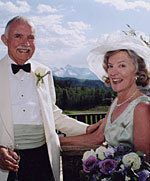 Connie is widow of UCSD oceanographer Michael M. Mullin, mother of three adult children, and on July 3, 2005,married physicist Lewis M Branscomb.